A brand new addition to the Gilet range offering complete windproof protection and shower repellent. 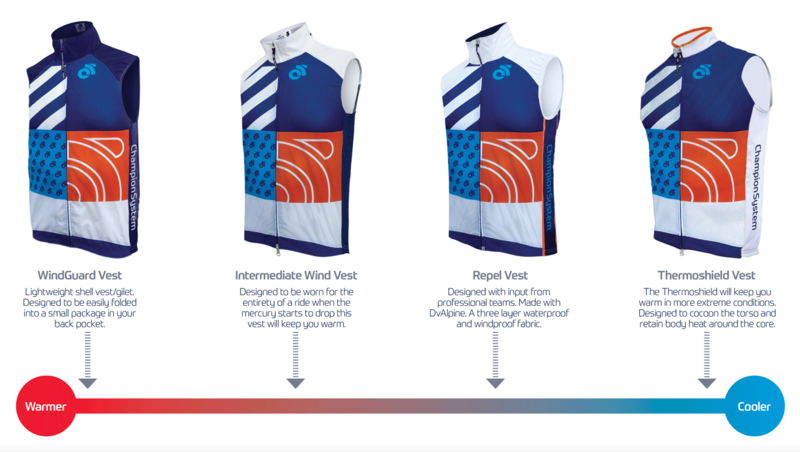 The outer soft shell will shield your body from the harsh headwinds and will repel water from light showers if you get caught out in the rain. The brushed back fabric is soft and insulating whilst remaining extremely breathable. Its a great combo with the Performance Intermediate Jacket (fleece). CS WeatherShield ™ – a soft shell fabric with a brushed fleece backing. The outer membrane has been treated to provide protection from the wind and colder conditions. This fabric is also water resistant so will withstand a light shower of rain or snow. Whilst providing protection from the elements WeatherShield also has good stretch capablities so it fits well during movement. RACE CUT and CLUB options.